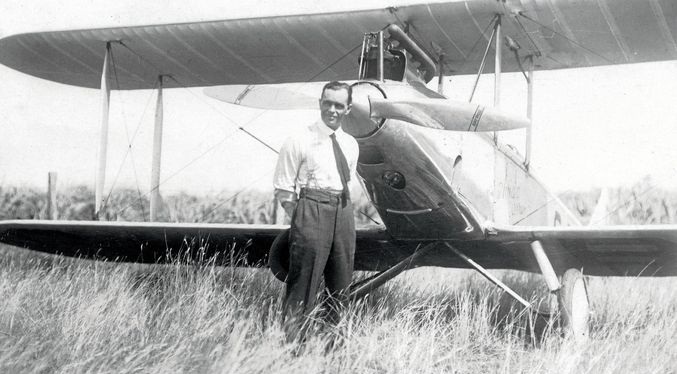 Bert Hinkler is one of Australia’s favourite fearless adventurers, a flying genius no less, dubbed “Hustling Hinkler, Australia’s Lone Eagle”. Out of the skies, however, he was anything but a loner. To this day Australians know little about his daring-do love life. When it came to keeping two wives apart in England and America in the early 1930s - neither knowing of the other’s existence, even when all three were aboard the White Star liner Baltic on the voyage from Boston to Liverpool in late May 1932 – he showed manoeuvring skill equal to anything he’d ever done aerobatically. 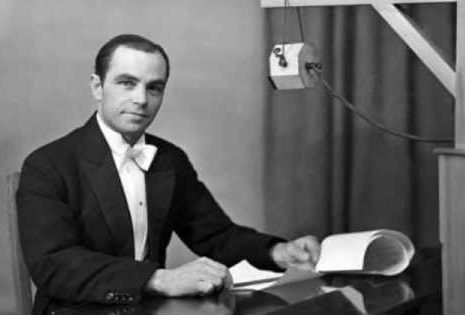 Herbert John Louis Hinkler was born on December 8, 1892, in Bundaberg, Queensland. At 8.48am on this day in 1928, Hinkler set off from Croydon in London in an Avro Avian on the first solo flight to Australia, arriving in Darwin in just under 15½ days, slicing 12½ days off the previous record. 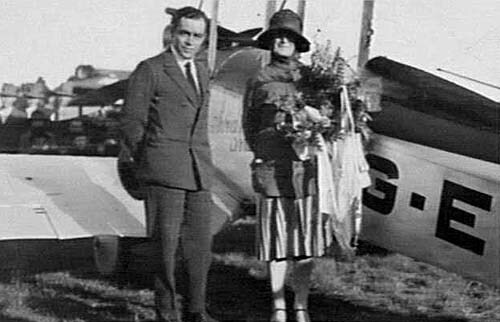 In 1931 Hinkler flew his de Havilland Puss Moth from Canada to New York, Jamaica, Venezuela, Guyana, Brazil, across the South Atlantic to West Africa and on to London. 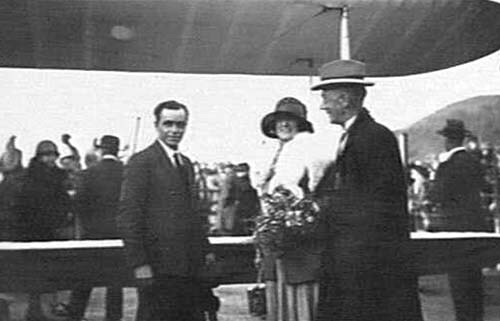 His was the first solo flight across the South Atlantic and he was only second person to cross the Atlantic solo, after Charles Lindbergh. 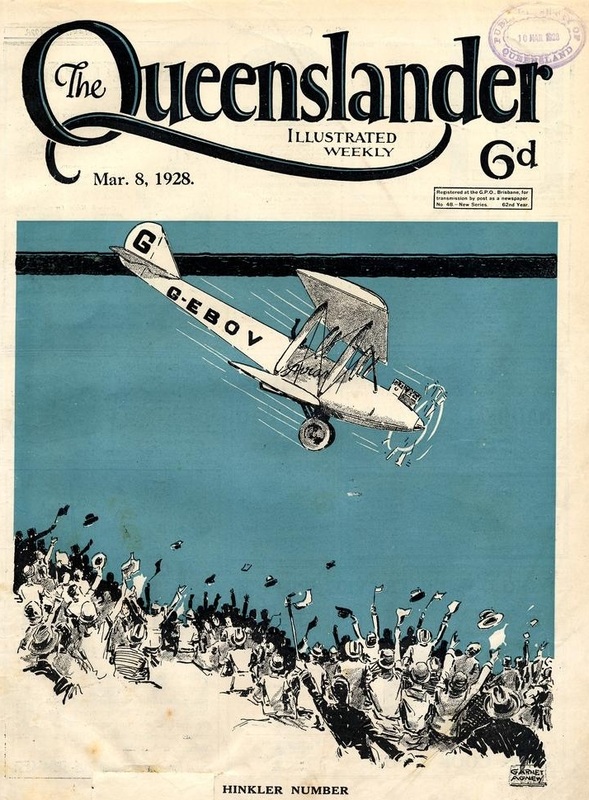 But at 3.10am on January 7, 1933, hoping to beat C.W.A Scott’s April 1932 England-to-Australia flight record of 13,187 miles in eight days, 20 hours, 49 minutes, Hinkler flew out of Feltham Aerodrome, London, in the Puss Moth. He crashed and died in Italy later that same day. Hinkler with his mother, right, and de facto wife Nance Jervis, left. Imagine the surprise of Australian Government officials in London when Leslie Vincent Pearkes, of Pettiver & Pearkes Solicitors, 21 College Hill, informed them that he was not acting on behalf of the woman they believed to be the widow of Hinkler. He was, Pearkes told them, acting for Hinkler’s real widow, a New York typist called Catherine Milligan Hinkler (née Rose). 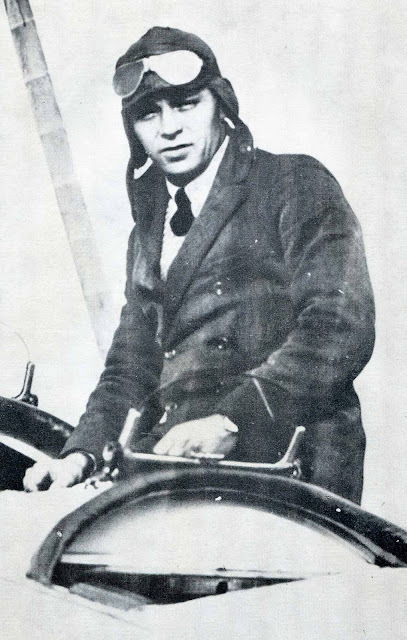 For almost a week after Hinkler’s crashed Puss Moth plane Karohi and his body were found on the northern slopes of Pratomagno in the Apennines between Florence and Arezzo, Italy, on April 27, 1933, Australian newspapers had been speculating on what would become of his remains. 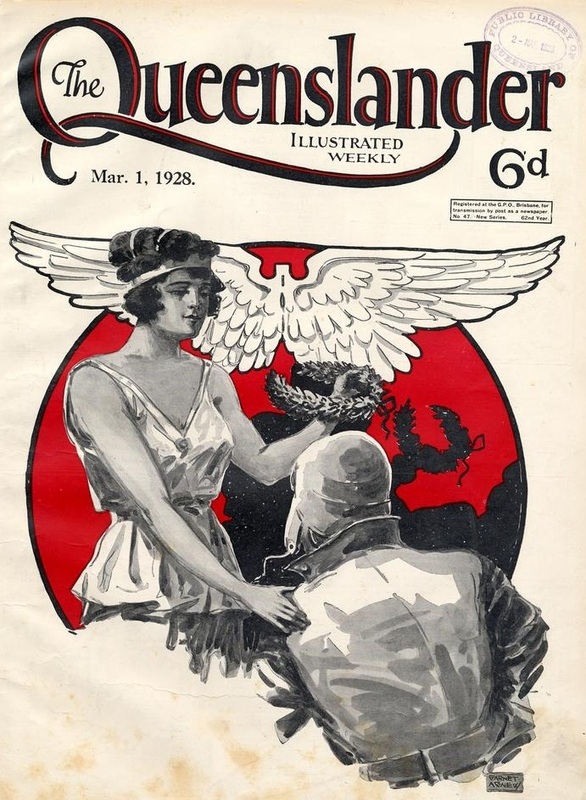 Finally, on May 3, Prime Minister Joe Lyons announced to Parliament that his Government was “proceeding with arrangements” to bury Hinkler in Brisbane. This was, said Lyons, in accordance with the wishes of his widow. Except the woman Lyons was referring to, Hannah Elizabeth “Nance” Jervis, was not married to Hinkler. She was still legally married to a man called Herbert Crossland. The crumpled wreck of the Karohi in the Apennines had given authorities no immediate clues to Hinkler’s tangled marital web. Many had just assumed the plane’s name was a Māori word, or Aboriginal for “lone wanderer”, as Hinkler had told the Press. . In fact it stood for (Ka)therine (Ro)se (Hi)inkler – Catherine, after arriving in the United States from her native Scotland in 1907, felt it fashionable to change the ‘C’ to a ‘K’. In any case, Hinkler had removed the name from the port side of the Puss Moth’s engine cowling before leaving Feltham. Even though Pearkes had revealed the truth soon after Hinkler’s funeral in Florence on May 1, it didn’t dawn on people in Australia until they read their Monday morning newspapers on December 18 that Hinkler’s widow was Catherine, not Nance. They had been aware since June 27 that the principal probate division of the High Court of Justice in London had awarded a portion of Hinkler’s estate to his widow, but the name of the widow wasn’t published until December, when an application was lodged with the Supreme Court of Queensland in Brisbane for the reseal of letters of administration granted by the High Court. The revelation came just five days after the Australian Government announced a widow’s pension of £104 a year to Nance. Up to that time the Government and the populace at large had continued to regard Nance as Mrs Hinkler, widow of the late aviator. The confusion was such that Pearkes was initially thought to be Nance’s lawyer. Nance, indeed, had been consulted by the Australian Government about Hinkler’s burial, and had declared she wanted his remains brought back to Australia and buried in Brisbane. Hickler’s hometown of Bundaberg naturally wanted him buried there. But all this went on, seemingly, while Australians remained blissfully unaware that Pearkes, acting on the real widow’s instructions, had insisted to Australian, British and Italian officials – both in London and Florence - that Hinkler be buried in Florence and that his remains should not be subsequently disturbed. Once the truth emerged, Australian officials and newspapers clearly decided to leave best alone. Nothing more about Hinkler’s marital situation was said or written, at least for many years, until journalists, researchers and authors began to look more closely into Hinkler’s personal life. Even then mistakes were made: Hinkler’s entry in the Australian Dictionary of Biography says Hinkler’s wife was Katherine ROME, not Catherine Rose, and many researchers have made the same error. Most writers have Nance’s name as Jarvis, but she was actually Jervis, and much older than historians have thought. Nance was born Hannah Elizabeth Jervis in Sheffield, Yorkshire, on September 18, 1876 – she was more than 16 years older than Hinkler. She grew up in Ecclesoll Bierlow and at Royston on June 23, 1896, married Herbert Crossland. On August 22, 1897, the couple had a daughter born in Barnsley, Maida Vivian Crossland, later Mrs Canavan. Herbert died in Huddlesfield on November 11, 1939, almost seven years after Hinkler’s death. However, Nance and Hinkler had lived together, in Bundaberg and elsewhere, in a de facto marriage for many years before Hinkler legally married Catherine Rose at Stamford, Connecticut, on May 21, 1932 (Hinkler used his mother’s maiden name, Bonney, on the marriage licence). Nance and Hinkler had met when Hinkler visited his brother Jack in an army hospital where Nance was nursing in France in 1917. They went through the process of banns of marriage being read at St Giles Church, Camberwell, in December 1917, despite Nance already having a husband and a daughter. The Church of England blocked the wedding on the grounds of potential adultery (let alone bigamy). Nance went to England after Hinkler’s death and remained there until 1955, when she joined her daughter in South Africa. Nance died at Sea Point in Cape Town, on January 28, 1958, aged 81. She continued to call herself Mrs Hinkler to the end. The real Mrs Hinkler was born in Edinburgh, Scotland, on New Year’s Eve 1901. A typist with the British Consulate in New York when she first met Hinkler there in 1925, Catherine continued to work for the consulate off and on for many years and in 1947 was involved with the consulate and the New York Chapter of the American Red Cross in helping British war brides, 70,000 of whom had arrived in the US at the end of World War II, looking for their American husbands. Catherine died at her home on 37th Street, Astoria in Queens on October 31, 1976, aged 74. Oh the tangled webs we weave. Great story.